The annual Engaged Campus Awards recognize individuals and groups in Iowa higher education for their work toward the Iowa Campus Compact mission of deepening and strengthening campus civic and community engagement. 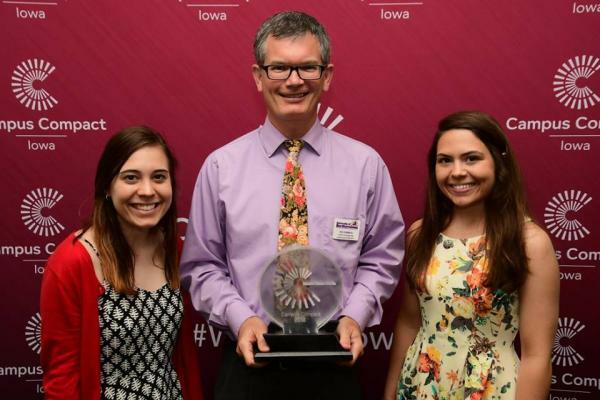 The third annual Engaged Campus Awards will feature new categories that reflect the new 2020 Iowa Campus Compact Strategic Plan and to encourage new types of nominations. The general nomination form has also been shortened and simplified and a new Network Choice Award nomination process will also be offered to encourage a broader range of honorees. Get ready to make your nominations!